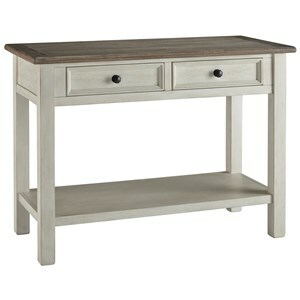 Solid construction with plenty of storage makes this sofa table a desirable addition to your living area. 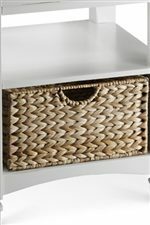 Slatted construction with ornate carved feet create a solid base, while the tan wicker basket drawer creates storage and a humble contrasting look. Three wood drawers and two doors create even more storage to accommodate all of your needs. 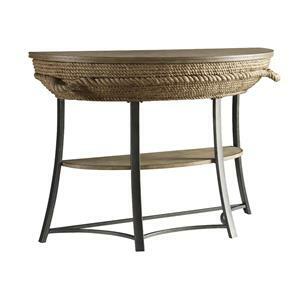 Pair this sofa table with the coordinating collection to outfit your living area is homey cottage styling. 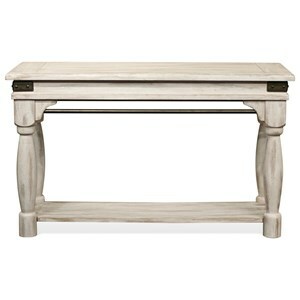 The Casual - Nantucket Storage Sofa Table by Stein World at Colder's Furniture and Appliance in the Milwaukee, West Allis, Oak Creek, Delafield, Grafton, and Waukesha, WI area. Product availability may vary. Contact us for the most current availability on this product. 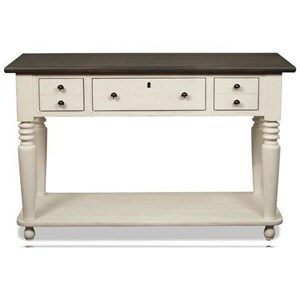 This grouping of gorgeous occasional furniture will outfit your home in a light and airy style with a pleasant white finish and humble clean lines. Subtle detailing gives off an incredibly comfortable vibe and an unpretentious design. 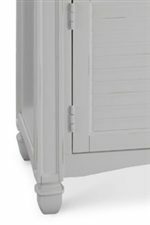 Beveled moulding edges, curved bottom fronts, tan wicker basket drawers, and beveled glass tops are all features that add to the all around engrossing appeal of the Nantucket occasional collection. 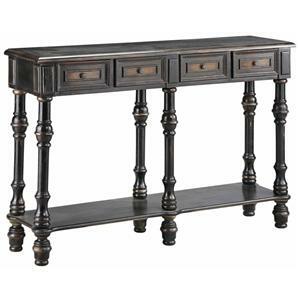 The Casual - Nantucket collection is a great option if you are looking for Cottage furniture in the Milwaukee, West Allis, Oak Creek, Delafield, Grafton, and Waukesha, WI area. Browse other items in the Casual - Nantucket collection from Colder's Furniture and Appliance in the Milwaukee, West Allis, Oak Creek, Delafield, Grafton, and Waukesha, WI area.